Is obesity in dogs really genetic? According to research of scientists at Cambridge University, Labrador Retriever obesity may be a result of genetic “greediness.” Are you greedy? The research may also contribute to explain human obesity. The Labrador retriever, known as one of the greediest breeds of dog, is hard-wired to overeat, research suggests. The dog is more likely to become obese than other breeds partly because of its genes, scientists at Cambridge University say. The gene affected is thought to be important in controlling how the brain recognizes hunger and the feeling of being full after eating. “About a quarter of pet Labradors carry this gene [difference],” lead researcher Dr Eleanor Raffan told the BBC. “Although obesity is the consequence of eating more than you need and more than you burn off in exercise, actually there’s some real hard-wired biology behind our drive to eat,” she added. In the U.S., just over half of all dogs are overweight or obese, according to the Association for Pet Obesity. In the U.S, and in the UK Labs are the most popular registered dog breed. 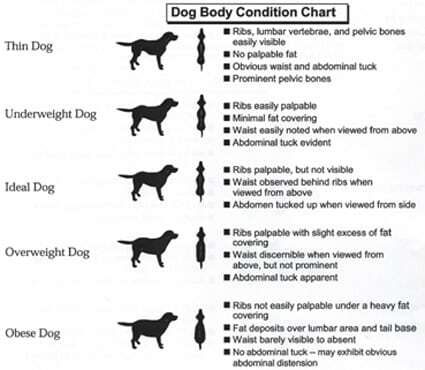 And according to the researchers (and other data), Labs do tend to be overweight or obese even more than other breeds. And many individuals appear obsessed with food. 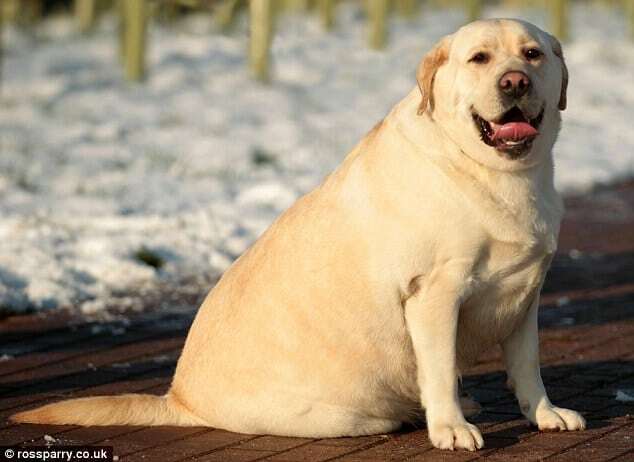 The study regarding why Labs are so often so overweight was published in the journal Cell Metabolism, Raffan, together with other scientists the UK, Sweden and the U.S. began by looking at differences in the DNA of 18 lean Labradors and 15 obese dogs of the same breed. The team focused on examining the DNA sequences of three genes that had previously been linked to obesity in mice. Two of the genes are also linked to obesity in humans. 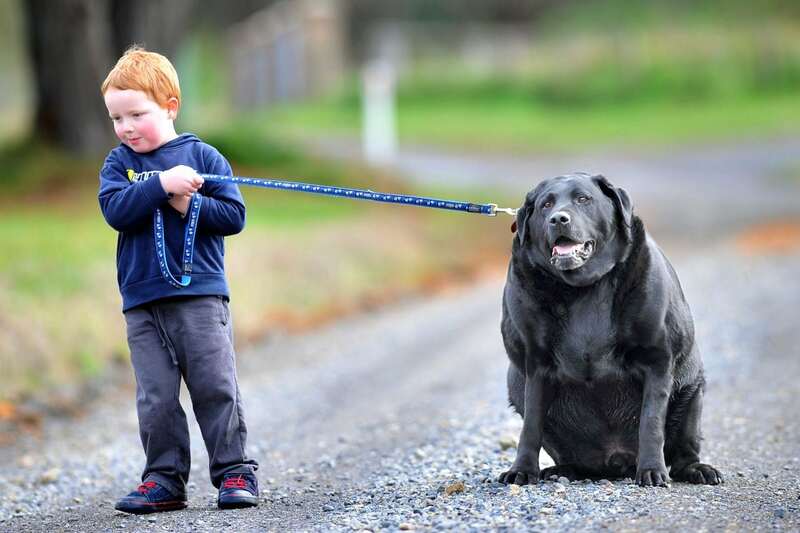 A single variation within one of the three genes was found to be more common in obese Labradors compared to their skinny friends. The absence of a short stretch of DNA in a gene known as POMC. This mutation, the authors add, disrupts the formation of two chemicals: β-MSH, which is linked to the ability of an animal to sense the amount of fat it has stored, and β-endorphin, which is thought to be involved in the brain’s reward pathways. The result: Some Labradors are pretty much always hungry. The study recruited a group of 310 Labradors. On average, when factors such as age, gender, and whether they had been neutered were taken into account, dogs with one copy of the mutant gene were found to be 1.9kg heavier than those without, while dogs with two copies were on average 3.8kg heavier than dogs without the mutation. Intriguingly, when researchers examined the DNA of 38 other dog breeds, they found the mutation only appeared in one other type of dog, the Flat-Coated Retriever, a breed somewhat related to the Labrador (They both share a common ancestor, the now extinct St. John’s Water Dog). When researchers focused on 81 Labrador assistance dogs involved in the study, they found 76 percent of the dogs had at least one copy of the mutant gene. That could be a quirk of the data, but the other hypothesis is that in order to become an assistance dog you have to be very well trained and pass a very rigorous selection process. Since training, these days, often relies of food rewards, is it possible that some dogs that are more food motivated as a result of the mutation might do better in the selection process. Better understanding this mutation may reveal not only more about weight gain in Labs and other dog breeds, but may also contribute to the knowledge base on human obesity.